Beatrice "Bea" Szekely has experienced three very different lives since moving to Cayuga Heights in January 1979 on the coldest day of the year with her husband, Yoram, to raise a family in their home, a colonial revival kit house at 104 Klinewoods Road. First, came a decade of raising two children with all the accompanying community work that brings. Meanwhile, she put her undergraduate degree in history and Russian language from Mount Holyoke to use, editing an academic journal of translation on Soviet education. She then put her masters and doctorate degrees from Columbia in the teaching of history and comparative education to use, working for sixteen years at Cornell in international education, and retiring as associate director of the Cornell Abroad Program. Since that time, she has served four years on the Village Board including time as Deputy Mayor, along with involvement in the Ithaca Garden Club and other organizations. Local and family history is her passion at this stage of her life. She views working on our shared history as a means of building community. Preserving the stories of how the Village came into being, who has lived here, and what we've done together helps us all feel a part of the community as we move forward in anticipation of our 2015 centennial. For Carole, it all began in Brooklyn, immersed in its interesting architecture, textured characters, and intriguing stories. Influenced by this backdrop, she became an armchair enthusiast of both, architecture and biography (including wedding announcements and obituaries.) After studying nutrition at Cornell, she attended the School of Visual Arts in New York City and worked in publishing, production and graphic design. A master's in communication followed, along with nearly a decade as Director of Consumer Education for food safety and nutrition at the FDA in Washington, developing educational materials and campaigns. In 1998, upon returning to Ithaca, she and her husband purchased Frederick Marcham's house (Mayor Marcham, for whom Village Hall is named.) 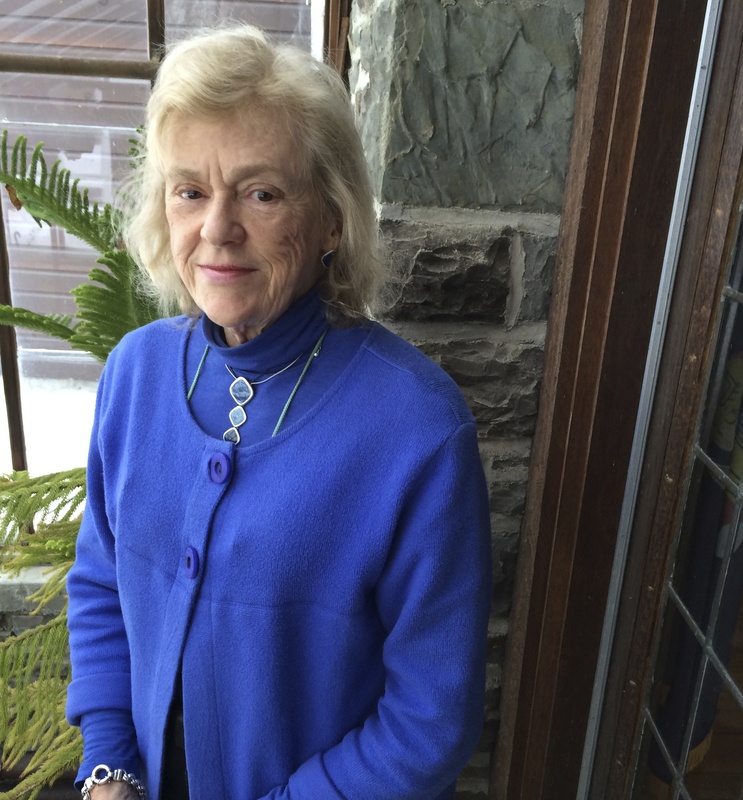 Among other detours and ventures, she published the book, "Everything Ithaca: A Pocket Guidebook to the Ithaca Experience," and now The History Project brings her back to her roots, as she researches architectural and residential house histories, develops and designs our programs and website, and plans for our centennial. Having previously lived in Brooklyn Heights (NYC) and Friendship Heights (DC), she is happy to continue to live in the Heights (Cayuga). Randi is a member of the board of Historic Ithaca, and so The History Project is a perfect complement to that position. With a degree in Urban Planning from NYU and a Master's in Library Science, she worked at the Reference Desk at Cornell's Olin Library for seven years. Her navigation skills through libraries have already saved us from simply spending days crying in stacks. Previously, she has lived in Hoboken and Park Slope, Brooklyn, in the very early 1980s when they were still changing and still affordable. Having worked at the Municipal Art Society (a very active New York City preservation organization) and at the Victorian Society in London, she has also managed large-scale fundraising events in New York City and worked for University College in London. Randi and her family live in a 1921 Gibb and Waltz home. Its Queen Anne design reminds her of the English countryside. Preservation and buildings are a passion of hers, with reading close behind. Or in front. Paul is Vice President of Engineering for GrammaTech and is leader of the product engineering team. Prior to joining GrammaTech, Paul was a lecturer at City University in London, England. He retains connections to the academic world as a member of the program committees for several software engineering research conferences. Paul has a PhD in computer science from City University, and a BSc from King's College, University of London. He lives in Ithaca with his wife and two children. Rhonda is a Senior Lecturer in Cornell's Design and Environmental Analysis Department where she teaches a course on historic preservation. She is a design educator who teaches students how to problem-solve in a design-hungry world. She is currently a member of the National Council for Preservation Education, the National Trust for Historic Preservation, the Preservation League of New York, and the Coordinator for the DEA LightLAB. Pat has worked in educational publishing for more than 20 years as a writer and developmental editor. As an undergrad at the University of Texas at Austin, she tackled her first archival research project: deciphering the spidery handwriting of baptism and marriage records in a creepy church basement. Making her way through the extensive records of a major estate in northern Mexico, she discovered hand-drawn maps from the eighteenth century and learned the Spanish names for a variety of farm animals. She continued her research at the University of Chicago, where she received a Master’s degree in History and mastered the disappearing art of microfilm threading. Pat and her family have lived in Cayuga Heights for 13 years, first as renters at physicist Hans Bethe’s house and then as owners of historian Carl Lotus Becker’s 1917 shingled Dutch Colonial Revival house. An avid walker, Pat has explored all of the winding streets of Cayuga Heights. She delights in the unique architectural features of each home and, even more, the stories associated with their residents. She looks forward to researching and sharing the social and demographic history of the little village whose residents have had such a big impact on Ithaca and beyond. Contact us if you would like to work on The Cayuga Heights History Project, research your own house history, share relevant information, or if you just have a comment--good or bad--we'd love to hear from you!